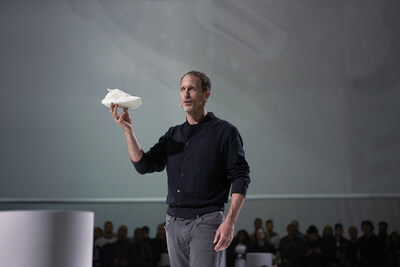 NEW YORK, April 17, 2019 /PRNewswire/ -- adidas strengthens its commitment to tackling plastic waste with the reveal of FUTURECRAFT.LOOP - a 100% recyclable performance running shoe. Together with Parley for the Oceans, adidas introduced in 2015 the first performance footwear concept with an upper made entirely of yarns and filaments reclaimed and recycled from marine plastic waste and illegal deep-sea gillnets. In 2019 adidas will produce 11 million pairs of shoes with Ocean Plastic by Parley through intercepting plastic waste on beaches, remote islands and in coastal communities. adidas is committed to using only recycled polyester in every product and on every application where a solution exists by 2024. Creating products with premium materials by Parley, made from up-cycled marine plastic waste, is the first pillar of adidas' sustainability strategy. "Taking plastic waste out of the system is the first step, but we can't stop there," said Eric Liedtke, Executive Board Member at adidas, responsible for Global Brands. "What happens to your shoes after you've worn them out? You throw them away - except there is no away. There are only landfills and incinerators and ultimately an atmosphere choked with excess carbon, or oceans filled with plastic waste. The next step is to end the concept of "waste" entirely. Our dream is that you can keep wearing the same shoes over and over again." "FUTURECRAFT.LOOP is our first running shoe that is made to be remade. It is a statement of our intent to take responsibility for the entire life of our product; proof that we can build high-performance running shoes that you don't have to throw away." 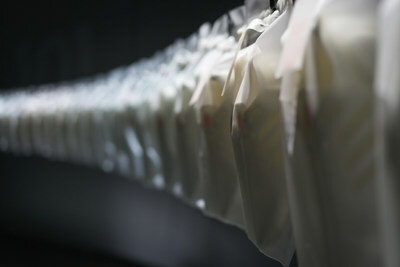 The FUTURECRAFT.LOOP project is aimed at tackling the problem of plastic waste, enabling a "closed loop" or circular manufacturing model, where the raw materials can be repurposed again and again. But not just repurposed into a water bottle or a tote, but into another pair of high-performance running shoes. Sports footwear typically include complex material mixes and component gluing - resulting in a shoe which can only be downcycled. After close to a decade of research and development alongside leading material development, manufacturing and recycling partners across Asia, Europe and North America, adidas has found a way to change the process. FUTURECRAFT.LOOP is a transformative approach to designing performance shoes that are made to be remade from the outset, by using one material type and no glue. Each component is made from 100% reusable TPU - it's spun to yarn, knitted, moulded and clean-fused to a BOOST midsole using adidas SPEEDFACTORY technology. Once the shoes come to the end of their first life and are returned to adidas - they are washed, ground to pellets and melted into material for components for a new pair of shoes, with zero waste and nothing thrown away. Each generation is designed to meet the adidas sports performance standard, without compromise. Tanyaradzwa Sahanga, Manager, Technology Innovation, at adidas, commented: "We set out to create a new type of product that we can take back, grind up and reapply into new adidas product. We knew this was a far-reaching vision in every way; technically and even behaviourally! There were times when it didn't seem like we could get over some of the technical hurdles - now we've made the first leap, the playing field has changed. We cannot create a circular future on our own, we are going to need each other. We're excited to see this first step come to life as part of the beta launch." "FUTURECRAFT is our design and innovation ethos," said Paul Gaudio, SVP Creative Direction & Future, at adidas. It is about the intersection of art, science, technology, humanity, engineering and craft. It's applying creativity to reimagine the world we wish to see." "FUTURECRAFT seeks to break new ground, bringing new materials and processes to bear against the many challenges and opportunities we face in helping athletes make a difference in their game, in their life and of course, in the world they live in - the world we all live in." The first-gen FUTURECRAFT.LOOP shoe is rolling out as part of a global beta program with 200 leading Creators from across the world's major cities. adidas will challenge them to run, return the shoes and share feedback on their experience, ahead of the second-gen drop. The insights will be used to shape the roadmap for the wider release targeted for Spring Summer 2021. 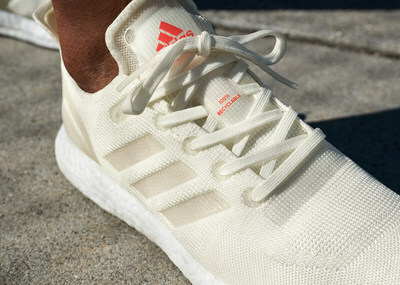 For more information visit adidas.com/futurecraft. Sa Adidas-Aktie: Die Rekorde fallen immer schneller!